Back in the day, a Miami wine bar was a place where people sat around complaining about the perpetual construction in Brickell and the traffic on the Palmetto... err, wait those would be whine bars (and could describe pretty much any place in the 305), and they're way less fun than going to one of these vino spots, where you can slug down some of the world's best grape juice and maybe even learn something while you're there. Not content to just have one of the most impressive wine selections in Coral Gables, the Canadians behind Cibo took their act to South Beach. Not only do they have 3,500 bottles of wine, but they stick them smack in the middle of the dining room behind a two-story glass case, where wine "angels" dangle from the ceiling and pick out your bottle. A bottle, we might add, that you can get for half-off if you go before 7pm. After a long day of screaming at slow horses and watching your exacta picks come in second and third, you're gonna need a drink. 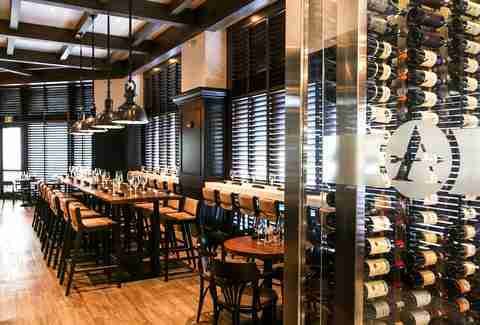 And for the sophisticated horse player there's this Gulfstream wine bar, where the folks behind one of Miami's best new spring restaurants take the same care in curating their wines as they do in their family farm-fresh steaks. Despite the lack of a nearby betting window, it's the perfect place to unwind after the races. Before Miami was the fastest-growing food and drink city in America, going to a "wine bar" meant going to a bar that served wines called something other than "red" or "white." The pioneer in specialized wine drinkeries was this spot on Biscayne, where you can still get over 20 curated wines by the glass and any of the over 50 wines on the wall for far less than you'd pay in a restaurant. Because, you see, it's a wine shop too. 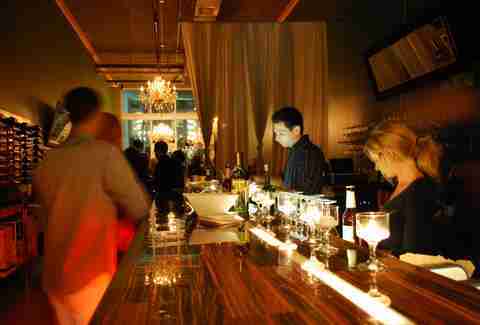 If you close your eyes and picture "wine bar in Wynwood," that's exactly what you're getting at Bunbury. This spot run by Argentine somms has a sprawling back patio where you can take in the industrial chic-ness of the neighborhood from under dangling Christmas lights while sipping wines from all over the world. Or, if you're feeling adventurous, try one of the wine cocktails. The idea of putting a Spanish wine bar in a gas station might seem a little, um, irresponsible. But, hey, it's Miami, and that kind of attitude is why you still live here. And not only does this place have perhaps the most impressive selection of Spanish wines of anywhere in Miami, the tapas it serves make it one of the best gas station restaurants in America. Not only does this iconic Miami restaurant let you sample really expensive wines by the quarter-glass (so you're not shelling out $35 for one drink) with its innovative vacuum-pouring system, but you can do it in a classically opulent setting in a spot that was used as an exterior for restaurant scenes on The Golden Girls. And it's a lot closer than going to the actual house. If waitresses carrying sparklers and people dancing on tables is just a liiiiittle too intense for you, but you still appreciate the French and their love of wine, this al fresco spot at the front of Villa Azur is your new favorite wine bar. 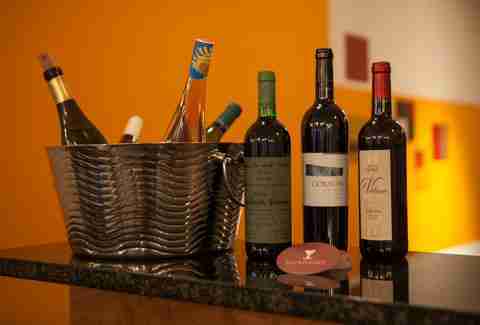 Here, at the storefront wine cellar, you can relax on the street and enjoy some light bites while sampling wines from the restaurant's collection, or even leave with a bottle of it to take home. Though a few years ago if you had suggested drinking wine on a Saturday night on a partially lit back patio with mismatched lawn furniture, you'd have assumed you were getting invited over to your weird aunt's house in Kendall, now that back patio is actually one of the hardest places in the city to find a seat. 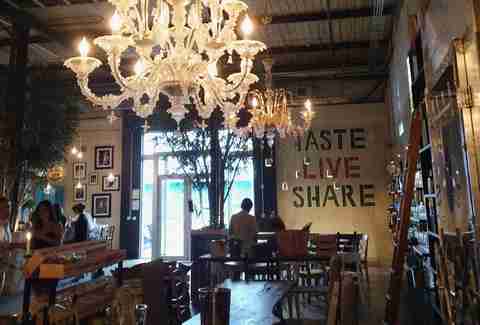 Sure, the live jazz helps, and the cool collection of wine by the bottle inside is probably better than your aunt has. 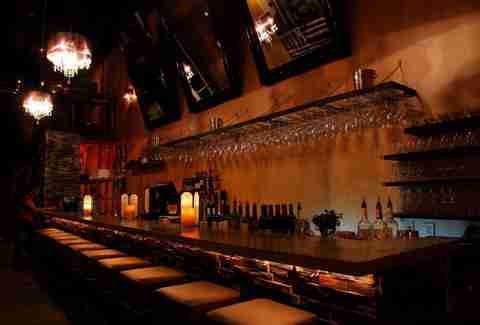 But it was also named by some serious wine experts as one of the best wine bars in America. If you own a pair of unacceptably tight pants and have been looking for an excuse to ride your Vespa, you can complete your "pretending to be in Italy" experience here, where despite being just up the street from a BMW dealership, the owners have created a little slice of the Boot right on Biscayne Blvd. 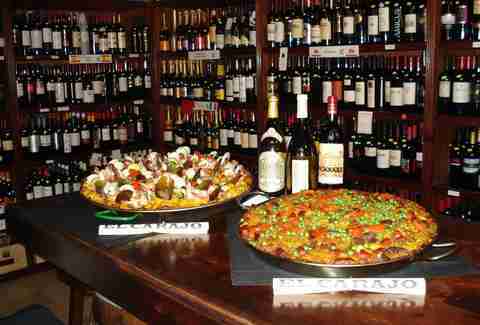 In addition to a wine bar with over 2,000 bottles, the place is also an Italian market and deli where you can buy hard-to-find foods imported straight from Italy. Though nobody is confusing the St. Regis with a place for the hoi polloi to hang out, the bar here is all about fine wines and Champagnes, and THAT'S the cheap part. 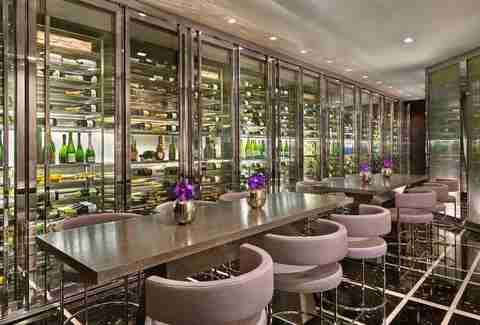 Inside a glass vault reminiscent of Get Smart you'll find 2,400 rare wines that can be enjoyed by private groups or during sommelier-led tastings, where you can also pair them with the St. Regis' full menu of sushi. If you ever wanted to know which wine to pair with a Whopper, Heath Porter is the man to ask. But since the somm behind this place has a knack for pairing wine with anything, you might want to opt for the menu at Uvaggio, which was built around wines Porter wanted to showcase. That's probably why we named a wine bar one of the Best New Restaurants of 2014. If you thought the Grove was dying, well, you probably also believed every rumor you read on Facebook today. 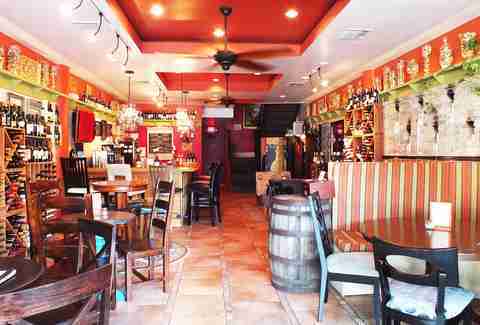 Perhaps its biggest sign of life is this spot, a laid-back wine bar straight from Key West where the owners have tried every wine in the place, and are happy to have you lounge around in their cool, brightly colored wine bar. 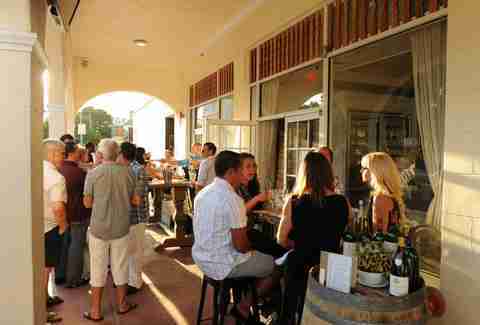 It's a relaxed, unpretentious wine spot that tells the world "Hey, Coconut Grove has still got a lot left." If we told you there was a place in South Beach with reasonably priced wines, ample parking, and friendly, polite, knowledgeable servers, you'd probably assume it was run by Elvis, Santa Claus, and the Tooth Fairy. But yes, that unicorn of South Beach establishments exists here, where a spacious parking lot leads you into a combination wine warehouse/bistro where the staff will help you select a bottle at a normal price in the store. Then you can pay the reasonable corkage fee and enjoy it with light bites off the Mediterranean menu. Though "vault" is a loosely used term for a two-story cafe with an extensive selection of wine, this Midtown spot does have about as much wine as a bank does Benjamins. The perpetual rotation of 50 reds and whites ensures you'll never have the same drink twice if you don't want to, so you can pair something different with the tapas menu every time you go.